Start free, upgrade for $2/mo for Full Domain Control. Point your domain wherever you want. DNS stands for “domain name service” - it’s basically a techie way of saying “the service that tells your domain where your website is”. 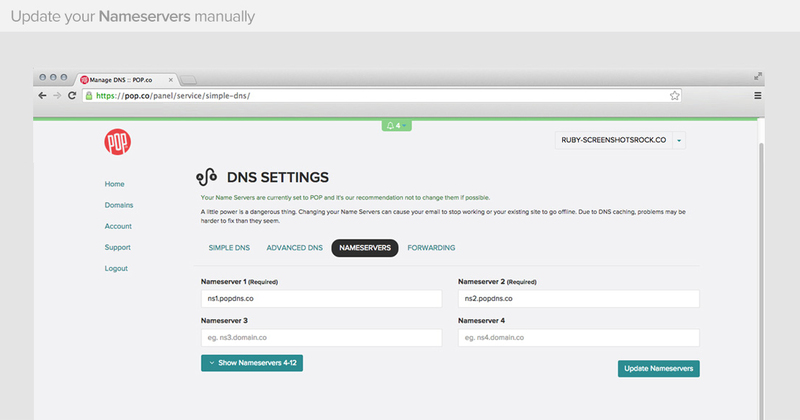 At POP, we have built Simple DNS to make this process as… well… simple as possible! When you create your POP account, your domain is pointed to the web service you selected at signup - either Simple Page, Weebly, or WordPress. You can use Simple DNS to switch easily between these services at any time. If you already have a website at another service and want to point your domain there - you can do that too. 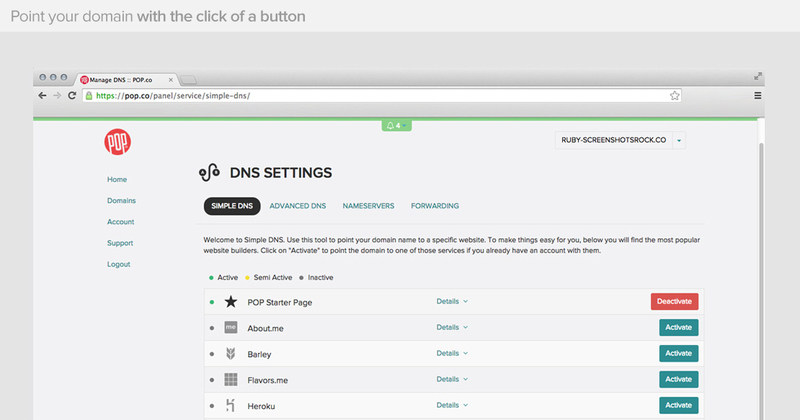 Simple DNS also includes access to advanced features - which gives you full control of your DNS. 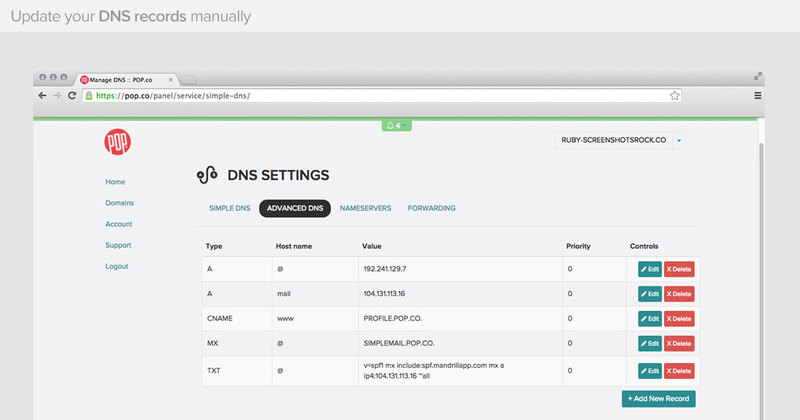 For you tech-savvy folks, that means: A, CNAME, MX, TXT, and SRV, including integrated DNS record overlap checking. Don't worry, we know DNS updates can be nerve-racking, so we provide a handy revert button to reset your DNS back to your Simple Page if things get messed up. Can I point my domain without purchasing Domain Control? No, the only way that you can point your domain to another service, other than the Simple Page, is to purchase Domain Control. Do I own my domain once I purchase Domain Control? Yes, when you have an active, paid account including Domain Control, you are the legal registrant of the domain. If at any point you do not pay for your monthly subscription to Domain Control, that ownership will be revoked. My account says I am "Prepaid" for this service - what does that mean? Full Domain Control is included (or prepaid) with any full-price domain purchase, or for users who signed up for a plan we used to call the "Startup Bundle". Point your domain anywhere you want.